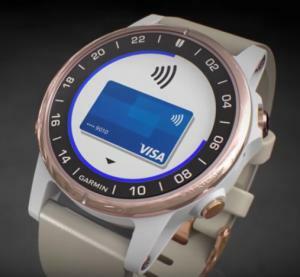 In-Depth: Nxt-ID Gets Much-Needed Financing, Clearing Way to Spin Off Its Payments Wearables Provisioning Unit Fit Pay | NFC Times – Near Field Communication and all contactless technology. Nxt-ID plans to move forward with its delayed spin-off of its payments wearables provisioning unit Fit Pay, after closing within the next few weeks on much-needed financing. The new loan also clears the way for the company to spin off its Fit Pay unit into a separate company, which it had originally planned to do last November. Nxt-ID announced last week that the closing for the new loan is now expected to happen late this month or in early April. It did not say when the spin-off would actually occur. When it does, Nxt-ID said it will call the new company PartX and will apply to trade PartX shares on Nasdaq. The new company will have at least $6 million for operations. Michael Orlando, who had headed the Fit Pay startup before Nxt-ID bought it in May of 2017, will be CEO of the new company. Existing Nxt-ID shareholders will be given shares in the new company. Article has about 1050 words.